Hello, all! 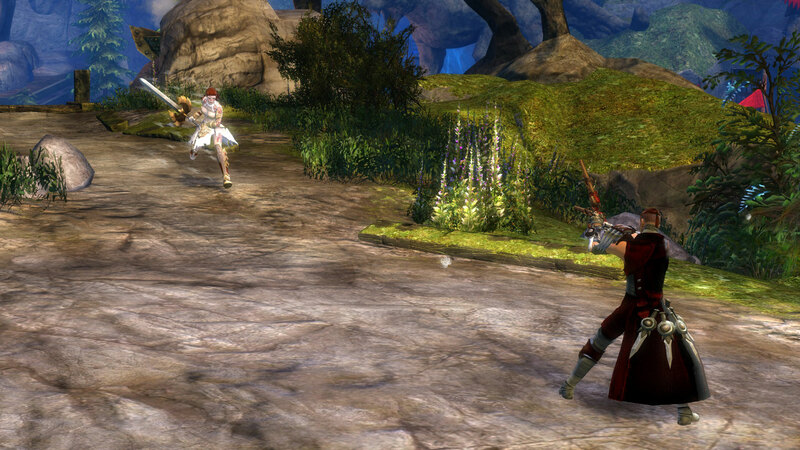 I’m Karl McLain, one of the game designers here at ArenaNet. I’m here to tell you about the direction we’re going with balance changes in the September 2014 Feature Pack. For a more specific preview of our balance changes, please tune in and watch our Ready Up live stream this Friday at 12:00 p.m. PT to catch the “Skill Bar,” a new segment that will discuss many upcoming balance changes in detail! The elementalist’s cantrips are popular in all parts of the game, and in the interest of promoting build diversity, we’ll be using the feature pack as an opportunity to work on other types of utility skills. For example, the fire and air storms from the Glyph of Storms will now apply conditions of their own. In addition, we’ll rework some of the new grandmaster traits that currently don’t have enough of a payoff or are too difficult to use. Finally, we’ll be addressing the Tornado and Fiery Greatsword elite skills; we’ll make some usability improvements and tone down some of their unintended functionality. In this balance pass, we’ve focused on giving some love to lesser-used kits and several non-kit utilities. With this update, you’ll see some changes to a few of your elixirs that will give them a bit more functionality, like Elixir R, which we’ve altered to also remove immobilized. Likewise, we’ve looked at a few of the gadgets and updated them to have a more defined purpose and a clear use. With the guardian, our intent for this balance update is to improve some of the less popular utility skills and open up some build diversity in both support and offense. The active skills of some of the spirit weapons have been reworked to include more supportive functionality. One change we’re excited to tell you about is Spirit Bow’s command ability, which will now heal in a targeted area rather than just around the bow itself. We’ve also adjusted the guardian’s elite skills; the tomes have received considerable number changes and quality-of-life updates. 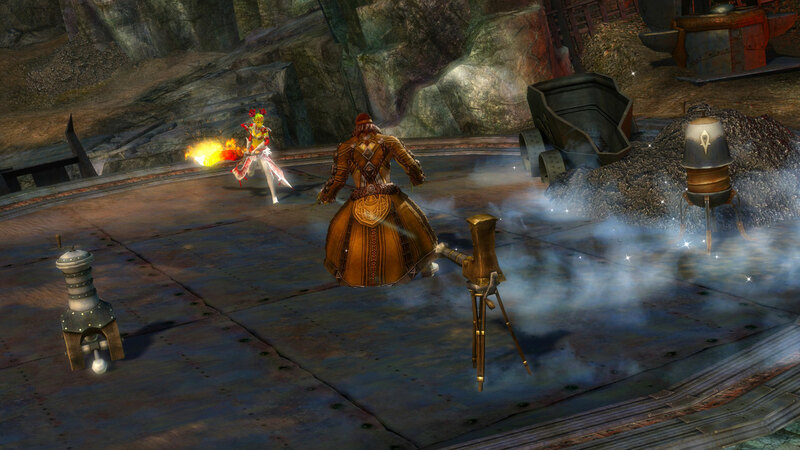 The mesmer has seen adjustments in a few areas. For this update, we’re looking at improving multiple traits, utility skills, weapon skills, and illusions. We’ve taken a look at some of the new grandmaster traits and improved upon their original implementation. We’ve altered the scepter a bit, pushing it more toward the condition role we would like it to have. In addition, you’ll see some awesome improvements to offensive mantras and a rework of the Mimic skill, which will now copy all boons on your target to yourself. Our focus for necromancers in this balance update has been on improving their survivability through utilities and traits as well as improving the overall effectiveness of their melee and skirmishing weapons. You’ll see that the dagger auto-attack will now hit two targets, while the axe’s animations have been tuned to be more fluid. Along with weapon skill updates, your utility skills have been updated to provide more survivability over time. The balance team has given the ranger a lot of love during this balance update. Rangers will be seeing a rework of Signet of the Beastmaster, which will be replaced by a new trait entitled Predator’s Onslaught. With this change, Signet of the Beastmaster’s effects will be rolled into the baseline signet skills. We’ll also be updating several Beastmastery traits to remove pet specificity, allowing you to choose which pets you’d like to use rather than the traits themselves requiring a specific family. Along with these improvements, we’ll be updating quite a few weapon skills to improve their base functionality and responsiveness. The goal for the thief during this balance pass has been to improve upon the new grandmaster traits that were recently added and increase the overall value of a few other traits through small tweaks. For example, Venomous Aura will now use your own stats rather than your allies’, so if you’re a master of condition damage, your shared venoms will be more effective than ever. As with the necromancer, you’ll be seeing increases to the number of targets that your dagger auto-attacks can strike. Additionally, we’ll be introducing a small range increase for pistol attacks when using the Ricochet trait. In this update, we’ll be adjusting how the warrior uses and loses adrenaline. We felt that the warrior maintained their adrenaline a little too well, in that there wasn’t a real consequence to missing with an adrenaline skill or simply keeping it from fight to fight. We’ll be adjusting adrenaline so that it’s lost if you miss with a burst ability as well as draining slowly when you exit combat. With these changes, however, we will be updating the greatsword’s adrenaline burst ability to be a cleaving, execution-style attack more fitting for the weapon. In addition to this, we’ll be updating multiple skills and traits, increasing and decreasing some adrenaline-gain abilities, and addressing multiple traits to have better effects. The September 2014 Feature Pack is on its way, and we’re extremely excited about the balance changes it will bring!